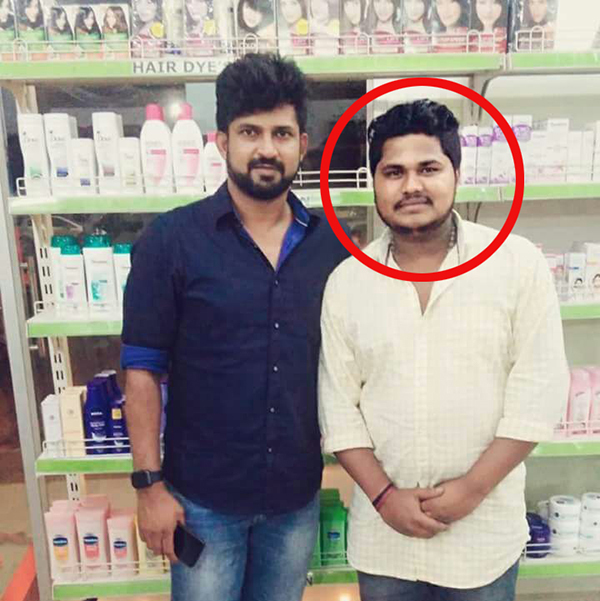 Moodigere: The Police here have arrested the Moodigere town unit BJP Yuva Morcha President M V Anil on the charges of instigating the suicide of Dhanya (20), a first year B.Com student of a first grade college in the town. Dhanya had ended her life on January 6, Saturday. Incidentally, the accused is said to be an influential man who is also known to Mysuru- Kodagu MP Pratap Sinha and MLA C T Ravi. It is alleged that Anil along with other Sangh Parivar activists had recently been to the residence of the girl at Moodigere Chatra Maidan locality and had pulled her up for allegedly having friendship with a youth from another faith. The deceased girl was the only daughter of Yadava and Saraswathi couple. It is said that a youth named Santosh of Belthangady had earlier chatted with Dhanya on WhatsApp wherein he had reportedly threatened her against having friendship with a youth of another community. He had taken the screenshot of the WhatsApp chat and had circulated it in the social media while also bringing the same to the notice of the Parivar activists. It was following this that the latter had visited Dhanya's house and threatened her. Sources said they had told her parents that "their daughter was moving around with a Muslim boy and was a victim of Love Jihad." It is believed that Dhanya who felt severely offended following this incident had taken the drastic step of ending her life by hanging herself on January 6 afternoon. Though initially an attempt was made to hush up the incident by trying to state that she ended her life after her father snatched her mobile, later following allegations of shielding the accused, the cops filed FIR against four accused and managed to arrest one of them. The rest three are absconding and search is underway for them. It is said Dhanya has even left behind a death note. Chikkamagaluru SP Annamalai has said that Police Department has taken this case very seriously.